Robert Brandt’s practice focuses in the areas of business law, mergers and acquisitions, private securities offerings, commercial practice, technology licensing, banking and finance, real estate, franchising and employment. Rob serves as outside general counsel for several mid-size, privately held businesses and outside corporate counsel to several public companies, in industries such as manufacturing, technology, real estate development, construction, medical supply distribution, equipment leasing, pharmaceuticals, software development, internet marketing, health and dental care, insurance, physician practice groups, banking and mortgage lending. 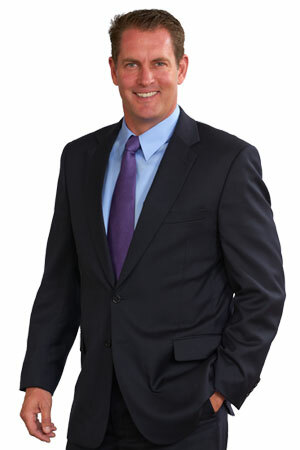 Prior to becoming an attorney, Rob held various positions within the business management and finance organizations at The Boeing Company over a ten year period. He was a member of the St. Louis University Public Law Review and an Articles Editor. Rob counsels corporate clients that are in all phases of the business life cycle: from start-up companies to mature companies to companies that are in the process of winding up and liquidating their assets. Rob has extensive experience in: entity selection, structuring and formation of businesses, mergers and acquisitions, private securities offerings, corporate restructurings, private equity and debt financing, business succession planning, franchising, commercial practice, international compliance coordination, intellectual property licensing, real estate development, sale and leaseback transactions, employment and dispute resolution. Rob is the recipient of Academic Excellence Awards in Corporations and Business Entities, Secured Transactions and Consumer Lending. Rob is a Member of the Leadership Counsel for The Donald Danforth Plant & Science Center and a youth soccer coach.